One hot summer week in 2001, Jill Jenkins fearlessly packed a bus full of children to head to Camp Lee in Alabama. It was a great week filled with friendships and memories as we learned what it meant to “Dive into our faith”…. Steven Curtis Chapman’s hit song “Dive” was still considered cool. The most notable moment of the week was when some hooligan named Rhett Shull found a left-behind pile of magazines under a mattress in the boys’ cabin. Roger Williams held his breath for eight whole minutes while we dug them out, only to be relived in the discovery of a collection of Sports Illustrated. We never figured out why he was so worried? That was my first experience of summer camp and I will remember it forever. It changed my life and formed friendships that I still hold on to today. Chances are no matter who you are, where you grew, or what church you went to, you know the magic of camp that I experienced that week. Last month, once again, we piled onto buses and traveled to Camp Wafloy in Eastern Tennessee for Camp. Students from 6th grade through 12th grade all gathered together for worship and a week to learn more about what it means to be a follower of Jesus Christ. It was an incredible week together as we enjoyed all the thrills of the Great Smokey Mountains. While we did not have a surprise magazine discovery, we did have a Sasquatch. Our students got to experience white water rafting, theme parks like Dolly Wood and Splash Country, and be lead in worship by Adam Courtney and our student band. I got to witness students make memories and friendship as a family of faith as we all drew near to God. 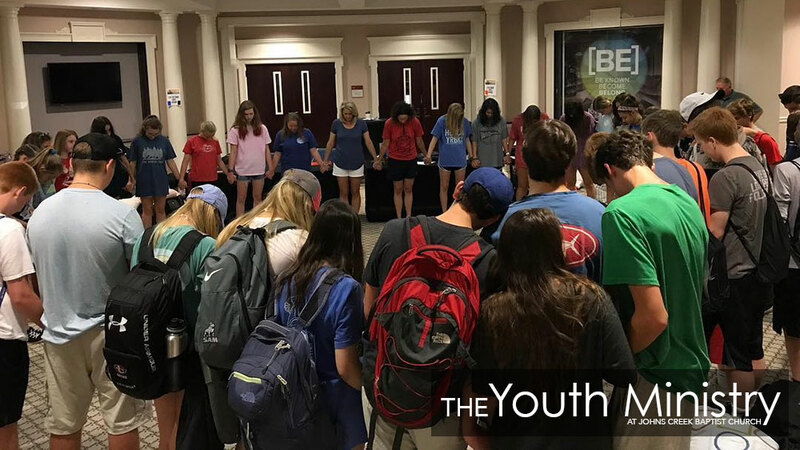 I saw High School students disciple our Middle Schoolers as they empowered them to lead us in worship, invited them to the “cool kids” table, as they wrestled with God’s word together. It was a reminder not just why we do camp, but why we do church. It is these moments, and so many others like them, that make camp all the worthwhile. Thank you for all that you do as a church, as a body, and as a family to make camp, and so many events like it, a possibility. We are not only changing the lives of our students when we go to camp, we are empowering them to change the world.